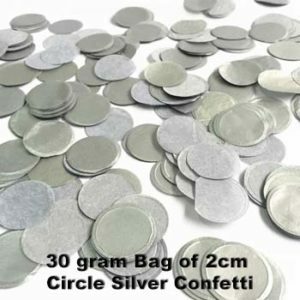 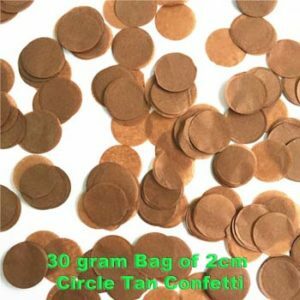 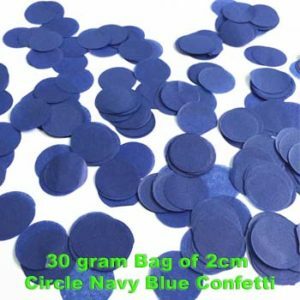 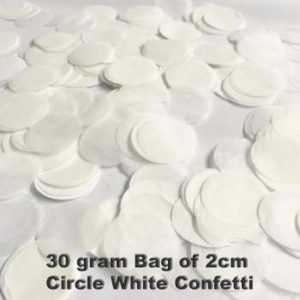 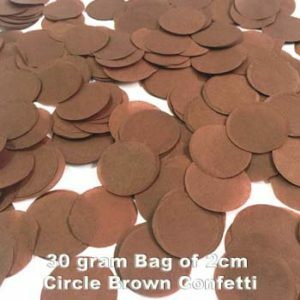 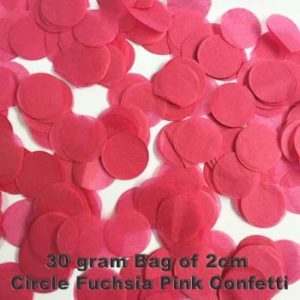 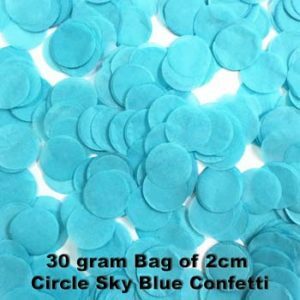 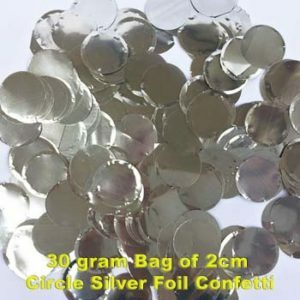 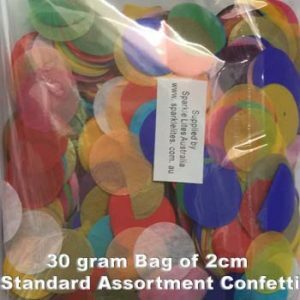 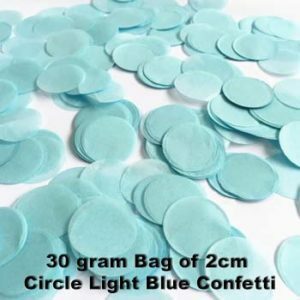 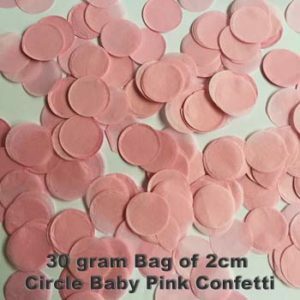 Confetti and Confetti Balloons – the IN thing at the moment and we have one of the largest ranges of 2cm Circle Confetti in Australia, sold in sensible 30 gram bags and available in more than 24 colours plus assorted mixes. 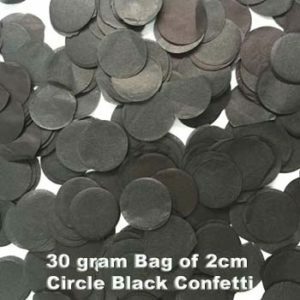 We import our Confetti to supply it at the very best available prices without compromising on quality. 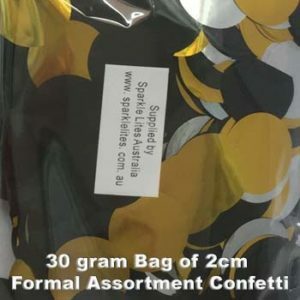 We also sell the Clear Jumbo and large balloons, the special clips to seal them and new Gender Reveal kits. 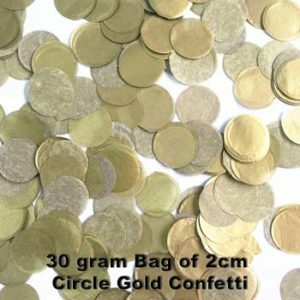 Confetti Assortments contain pre mixed confetti in a 30 gram bag. 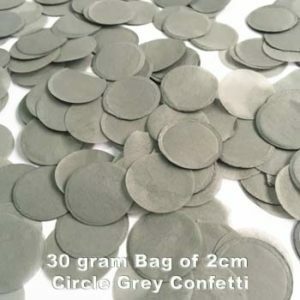 You can make up your own assortments by combining any of the above colours yourself but we have created assortments in popular colours, some of these may suit. 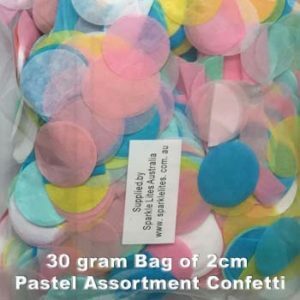 Pastel Assortment contains teal, light green, light pinks, yellow and white. 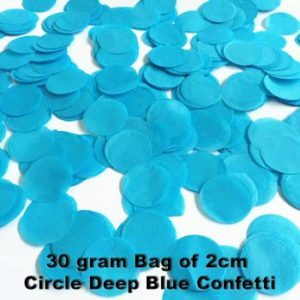 ​Standard Assortment contains dark blue, pink, red, green, orange, yellow and teal. 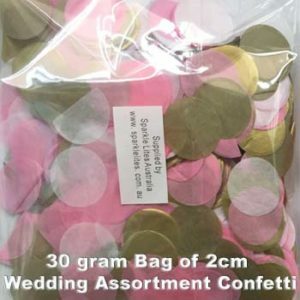 Wedding Assortment contains light pink, white, gold. 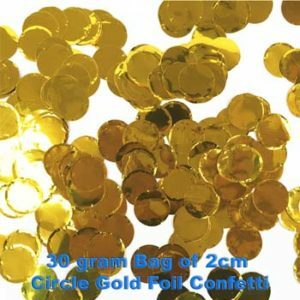 Formal Assortment contains Blue, Silver, Gold and foil silver. 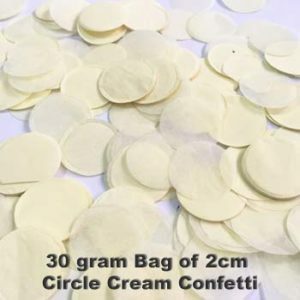 We sell the Jumbo 90cm clear latex balloons that you use to make confetti balloons, we sell these 2 per pack. 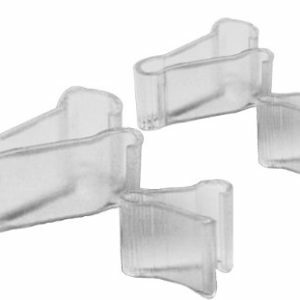 We also sell the Jumbo balloon clips in a 5 pack, these certainly save your fingers when trying to tie the jumbo 90cm balloons. 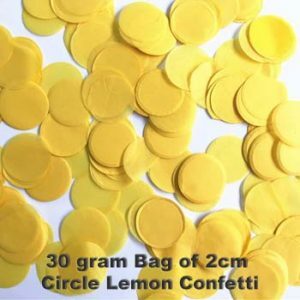 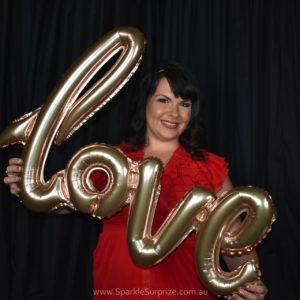 We also sell the large 45cm clear balloons for confetti balloons that are not so huge. 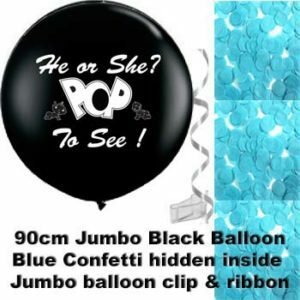 Our Gender Reveal Kits contain: 1 x Black balloon printed with “He or She? POP to see !” on two sides of the balloon. 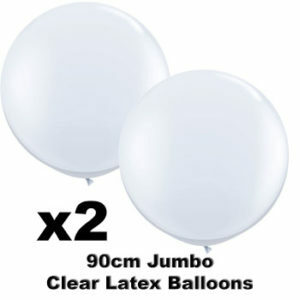 This is a very high quality Qualatex® balloon. 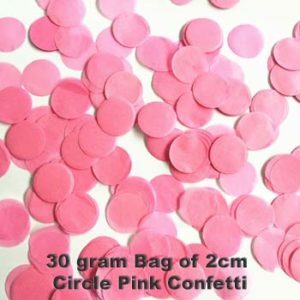 We pre stuff it with either pink or blue confetti and then seal it with a Jumbo Balloon Clip. 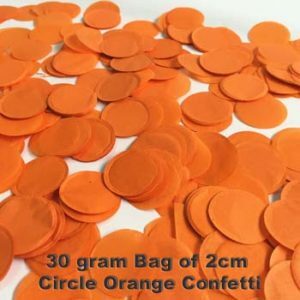 The clip seals the balloon and stops any confetti from escaping. 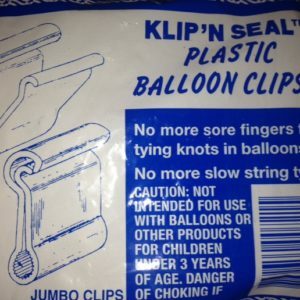 You remove the clip to inflate the balloon and then seal the balloon with clip after inflation.We also include some ribbon for you to tie to the balloon. 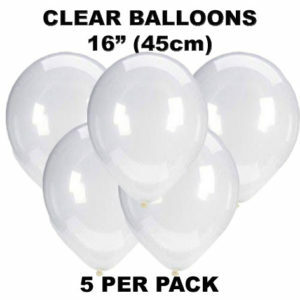 The balloon is supplied not inflated and you can inflate it with helium or air. 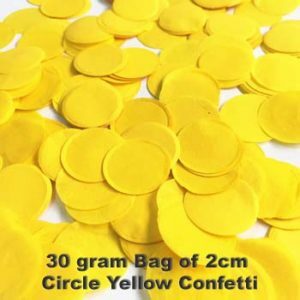 THESE ARE AVAILABLE FOR PRE-ORDER NOW – AVAILABLE DECEMBER 1ST 2016.